Our dahlia field is in full bloom, and we've been busy harvesting! 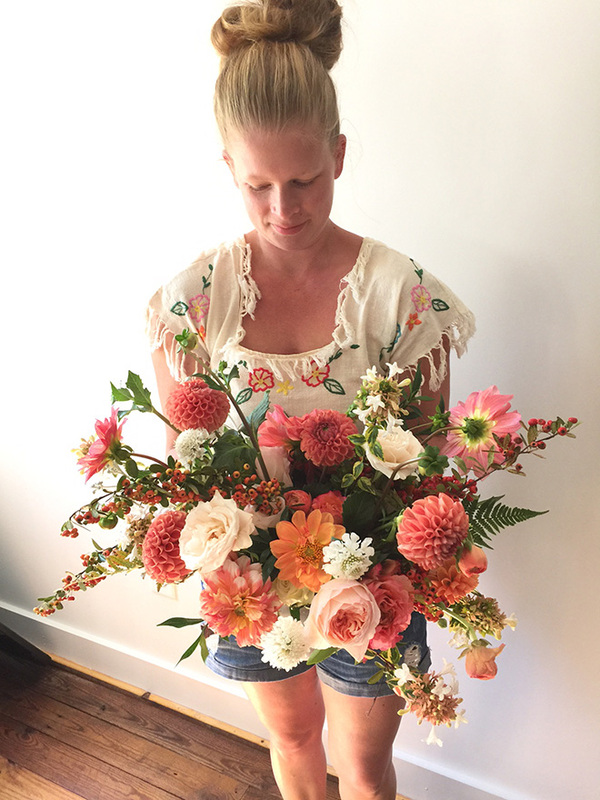 We have dahlia bouquets available for on-farm pick-up tomorrow morning; 10 stems for $25. Brighten up your weekend with some pretty blooms! 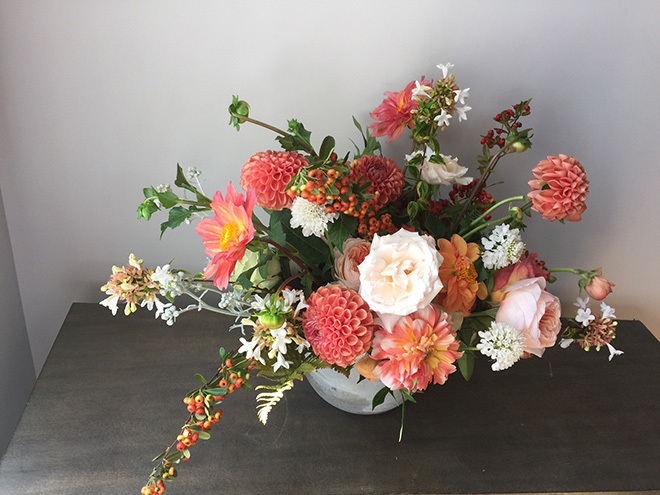 We can also create a more elaborate arrangement in one of our signature vessels for $125. Call ahead before stopping by to make sure we haven't sold out!